Magnolia trees are large evergreen trees known for their stunning flowers, large leaves, fruit and plant forms. They’re also called Bull-Bay, Big Laurel, Evergreen Magnolia and Large-Flower Magnolia. These trees are unique for several reasons such as the fact that magnolia flowers don’t produce true nectar, but yield pollen in large quantities. The pollen, which is rich in protein, is a food supply for beetles that typically pollinate the tree’s flowers. 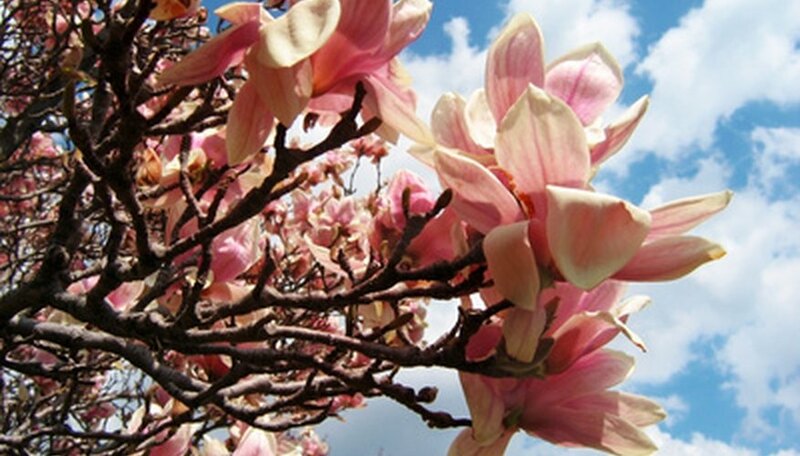 The magnolia tree comes from Southeast Asia, the West Indies and North America. In the United States this tree is mostly found in the East as well as the South. It's the official state flower of both Louisiana and Mississippi. The Southern magnolia is considered the aristocrat of trees. This tree, which grows throughout the lower part of the South, adapts to various soils and has the least pest problems, making it one of the most resilient trees in Southern landscapes. It has glossy leaves and fragrant white blooms. Other magnolia varieties include “Sauder magnolia", “Sweet Bay” and “Star”.